As a vMix advanced partner, Stream Dudes understands the raw production power within vMix production software. Consequently, we developed and now introduce the next generation of Dude PCs, the Ultimate vMix Reference Systems. 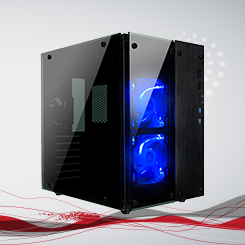 Dude PCs are affordable and powerful solutions that can assist in elevating your productions. Each broadcast-ready Dude PC is designed to meet and/or exceed vMix reference systems specifications. Each Dude PC is developed with reliability in mind, which unlocks all of the power within vMix software and leaves nothing to chance. Unlike others providers, each Dude PC comes with a complete multi-year hardware warranty (something you won’t get from a DIY system) that is standard on all models. All parts are premium grade and hand-selected, as well as tested and configured by professionals who best understand the technical details of vMix software. Let Stream Dudes provide peace-of-mind. We include a basic, virtual, vMix training session at no additional charge to all Dude PC customers. 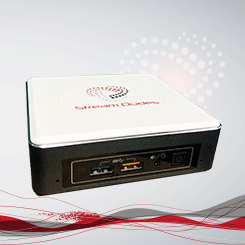 The Dude PC is a premium, all-in-one broadcast solution available at a reasonable price. As a result, the Dude PC is largely regarded as one of the best turnkey vMix production systems available. Consequently, the Dude PC is trusted by houses of worship, municipalities, sports teams and broadcasting professionals. Our next generation Dude PCs provide even more production power. Latest Chipset Technologies: We started with the latest chipsets and ninth generation of Intel CPUs. 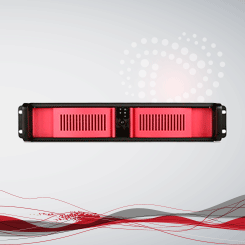 Fast Non-Volatile Memory Express (NVMe): For an even better vMix performance across all models, we have standardized our PCs with ultra-fast (NVMe) M.2 storage. Upgraded GPU: Next you’ll find upgraded GPU performance, as we feature NVIDIA GTX 1660 Ti or RTX 2080 Ti graphic cards standard. New Body Style: Our new, distinctive design is a performance upgrade in itself. Not only does the design provide better airflow, now our Dude PCs are more compact for better portability. The Dude PC Green is similar to the i5 but boasts enhanced performance and future preparedness that it's predecessor lacked. 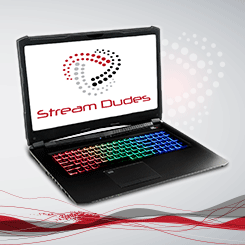 To learn about specific system specifications or to custom configure your own Dude PC, email us at info@streamdudes.com or call (715) 972-3833 to speak with a team member. Ask us about control surface options, wireless video transmission systems, or network storage solutions to complement your workflow.